The America’s Cup is inviting young artists to design the official poster for the America’s Cup Community Sailing Programme – Endeavour. “Endeavour aims to introduce, educate and encourage Bermuda’s youth to discover the joys of sailing through a fun and interactive programme,” the ACEA said. 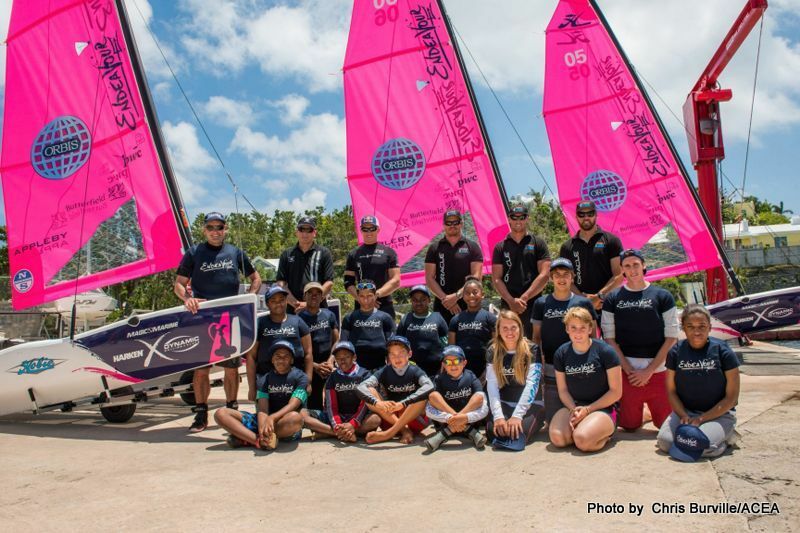 “The America’s Cup Event Authority [ACEA] has brought RS Feva, O’pen BIC and Hobie Wave boats to Bermuda to enable youth ages 9 through 12 years old across all backgrounds to experience sailing. “The programme will officially launch in September 2015 and will be showcased all week long at the America’s Cup World Series Village held in Hamilton in October 2015. “Students don’t miss this incredible opportunity to channel your creativity and share your talent with our community and the world. “The winning design will be used on the official poster for the America’s Cup Community Sailing Programme – Endeavour and will also be incorporated on one of the boats: RS Feva, O’pen BIC and Hobie Wave. Any medium of preference is permitted including charcoal, pencil crayon, natural materials, etc. The Selection Committee will consist of America’s Cup Bermuda and America’s Cup Event Authority representatives as well as community representatives from local arts & culture organisations. Teachers please submit a list of student names with completed artwork via email to community@americascup.com along with parent/guardians’ email addresses and contact numbers. For more information please email community@americascup.com.